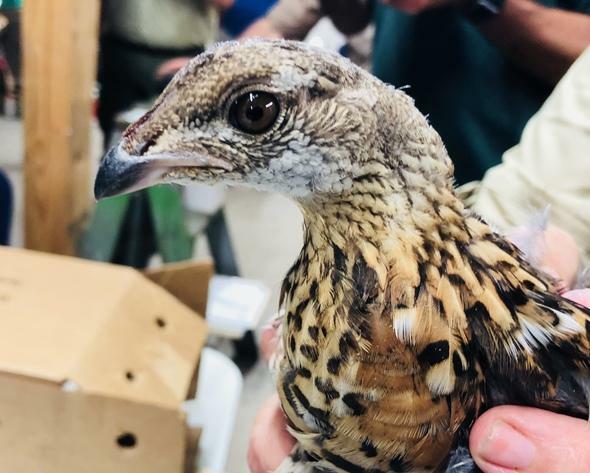 For the next three years, Missouri conservation officials are bringing 300 ruffed grouse into the state from Wisconsin in hopes of raising the native bird’s population. The ruffed grouse is a stout-bodied, medium-sized bird with white, grey or brown feathers and mostly spends its time on the ground. In Missouri, the ruffed grouse lives mainly in the River Hills region, located in an east-central part of the state that covers Callaway, Montgomery and Warren counties. While the ruffed grouse have fairly healthy populations in the northern parts of the United States, its Missouri population has declined in recent years. In 2011, the state suspended the hunting season for the bird, in place since the 1980s.